©ABC-A / ©Toei Animation Co., Ltd.
As many anime fans know, Hugtto! Precure is the latest incarnation of the highly popular magical girl anime television franchise Pretty Cure. 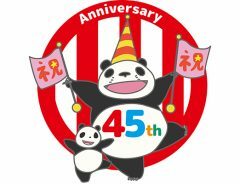 Created to celebrate the 15th year of the franchise, Hugtto! Precure follows the story of 13-year old Hana Nono, a girl who aspires to be seen as grown up, who encounters a mysterious baby called Hug-tan who has a Mirai Crystal containing the positive energy of a shining tomorrow. In her desire to protect Hug-tan from the evil Criasu Corporation who want to take the crystal away and thus rob everyone of their future, she transforms into Pretty Cure of High Spirits, Cure Yell. Together with classmates Saaya and Homare, they form the Hugtto! PreCure team in hope to protect people's future from the Criasu Corporation. 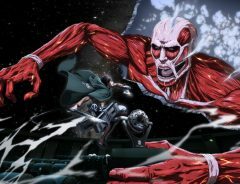 The anime franchise is known for pursuing the theme of acceptance and diversity, as expressed in its current incarnation through the motivational slogan: "I can do anything, I can be anything." Hugtto! Precure has particularly been noted in the anime community for its sensitivity to changing times, and Episode 19, which aired on 10 June 2018, which contained the line: ‘Boys can be princesses too!’ created quite a buzz in social media both within Japan and abroad. 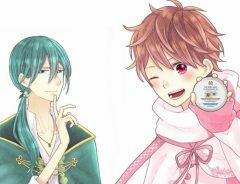 We sat down with Hugtto! 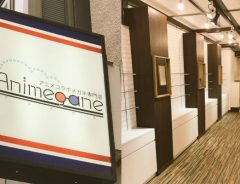 Precure producer Keisuke Naito to learn more about what motivates the characters and the vision behind the story as we know it. 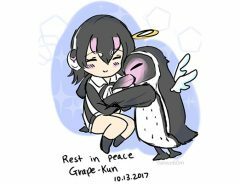 grape Japan (gJ): Thank you very much for taking time out of your busy schedule today. Keisuke Naito (KN): Thank you. gJ: During the opening sequence of Hugtto! Precure, the audience can see all kinds of jobs such as cabin attendant, wait staff and kindergarten teacher, occupations which have been traditionally held by women in Japan, you could say. But in the ending sequence, we also see jobs such as company president, engineer and scientist. Was it your plan from the beginning to position the opening and ending sequences in this manner? KN: This is something I think we’ll probably be talking more about later but within the numerous elements and themes of Hugtto! Precure, there is “the future of children”… One thing we want to communicate to the kids watching our show is they have a limitless future. And to make it easy to understand, there are all kinds of jobs they can do. We want to tell them they shouldn’t give up if they think they’re not good at something. Anything is possible. That’s why, for the first half of the season, we asked for an ending theme with lyrics which would feature many different careers. gJ: So, the rankings were based on both boys and girls? KN: Essentially, Precure’s main target audience is girls, so we referred to jobs that tend to be more popular with girls. gJ: Ah, I see. For my next question, looking at the lyrics of the song, there seems to be a play on words in which hagu ハグ (hug) and kumu 組む (which can mean “put together” or “team up with” in Japanese) are joined together, also suggesting the homonym hagukumu 育む (meaning “bring up” or “rear” children). And then, within the anime, you can see “HAGUKUMI HALL” (in English) as the name of a building, for example. It seems that these words are connected. 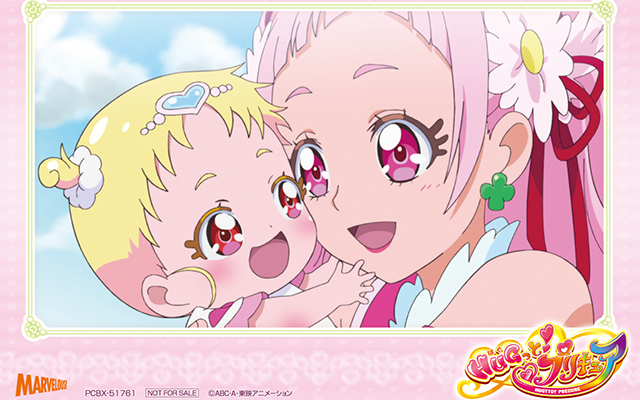 Is the theme of child-rearing implicit in the title of the anime: Hugtto! Precure? KN: When it comes to HUG, we wanted to express the idea of “rearing,” but also a mother hugging her kids, and friends hugging each other, showing they have a bond which is closer than simply shaking hands. So, yes, one of the themes of Hugtto! 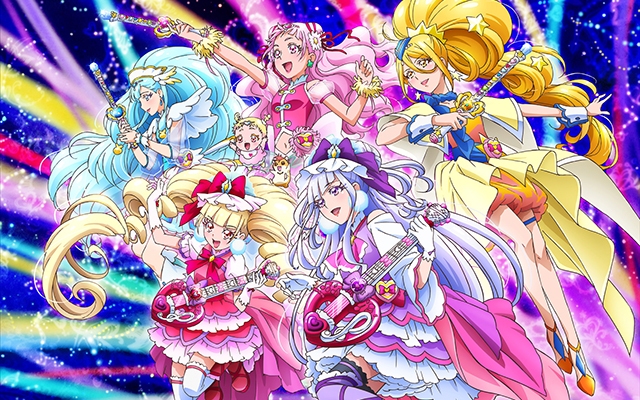 Precure is rearing a baby… As for the lyrics of the opening song, we explained our show’s theme and central elements and the lyricist incorporated them into the song. I think they’re wonderful lyrics, and plays on words like this are one of the reasons. Talking about the anime as a whole, two of the themes we originally had for Hugtto! Precure were “diversity” and “girls’ self-affirmation.” In the beginning of the anime, Hana, the protagonist, says: “Hooray Hooray, Everyone, Hooray Hooray, Me.” We had long internal discussions about the order of those things. Maybe in general, the protagonist first encourages herself with: “Hooray hooray, me” and then shares that energy with others by saying: “Hooray hooray, everyone,” in that order. But this time, our protagonist is focused on encouraging herself. This is something she expresses when she says she wants to “be the Hana Nono I want to be.” We wanted her to have a proper sense of self which she values. gJ: In other words, a “stylish and grown-up lady” (Hana’s words in the anime). KN: Yes, that’s right. “You can be more confident in yourself,” “you have more potential within you,” “you can like yourself more,” these are all messages we somehow wanted to convey. And then, “the future stretches out in front of you and you can become anything you want to be.” That’s the flow of ideas we had in mind. gJ: I understand. And the importance of loving yourself—or as you put it, affirming yourself—is something you feel is particularly necessary in our day and age? KN: It’s not like we got a cue from a specific social problem. We change the theme every year and “diversity” is in just about every anime of the Precure series. As for the main theme—sometimes it’s “dreams,” other times “love”...many different themes we could choose from—we wanted to make “self-affirmation” the central axis of the story this time around. Although we didn’t consciously have society in mind, it’s quite possible that in the background of our decision—a decision which the director, the story editor and I all made together—we were aware of the mood existing in our current society, and this theme struck a chord with us as a result. gJ: Ah, I see. It’s possible that this may overlap with something you said earlier, but among all the anime thus far in the Precure series, Hugtto! Precure is the first, if I understand correctly, to have child-rearing as a central element. Did you intend conveying a positive image of motherhood to the children watching your show? KN: No, not at all. The series has always involved an element of looking after someone, whether they’re fairies or something fantastical. This is the first time we have the notion of rearing a human baby. However, we felt it was absolutely essential to make sure that this situation wasn’t presented as the model case family of two parents together and a baby being born. When it comes to child-rearing, based on our impressions of the times we live in, we thought it would be nice if babies could be raised by society as a whole. In the news, we often hear about things like plans for new nurseries being shot down by local residents complaining that little kids would make noise, or how mothers with strollers are made to feel uncomfortable in trains. We talked about how it would be nice if child-rearing was not only about encouraging mothers and praising them for their efforts to raise a child, and more about everyone cooperating, including the child’s father, and other fathers, the neighborhood community and even society as a whole, coming together to raise our children. gJ: From what you said just now, I get the strong impression that, in a way, it’s not only for the children who are the presumed target audience—they can surely understand a lot of it—but a big part of it is also for the parents watching with them… You’d like them to think about these issues? KN: Yes. We conduct all kinds of surveys on viewing conditions and we know that, for the most part, children watch the show while their mothers finish up household chores, so I don’t think parents watch it together with their kids that often. However, if there are parents who do, we certainly hope our show will spark conversations between them after the show has ended. If the show has content which displeases parents, they won’t show it to their daughters, so we are very careful in telling stories which they will accept. gJ: Now I’d like to ask you about Harry’s character. When the girls are busy doing hero work, handsome Harry is the one taking care of Hug-tan at home. On the anime’s official website, Harry is referred to as an ikumen (a currently popular term designating men—presumably fathers—who actively participate in child-rearing). I realize you partly answered this already but would you say that this also sends a message to children that child-rearing isn’t only a woman’s job? gJ: Right, that it’s not only women who take care of children. KN: Yes, as I said, there is a message in the show which is: it’s fine that child-rearing takes on many forms and that everyone’s different. But there’s also something else. This is a gimmick of sort in the series, but since we’re no longer talking about looking after a group of fairies or other such fantastical beings but caring for a human baby, it would have come across as unreasonable for our middle school-aged protagonists to be raising her on their own. Therefore, by setting up someone like Harry who understands the situation, has a certain amount of social credibility, and is close to the adult world, we were able to take our story—a group of middle school students singlehandedly raising a baby who suddenly comes into their lives—and somehow make it sound reasonable. gJ: I see. And speaking in a Kansai accent, no less. KN: Indeed. 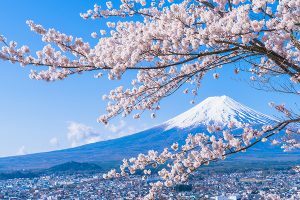 This is a sensibility Japanese people share, but even harsh words sound softer when spoken in a Kansai accent. gJ: I see. That’s just the way it is, then. KN: Yes, it’s convenient that way. gJ: I understand. Just like Kira Kira Precure a la Mode before it, Hugtto! Precure features French quite prominently. Could you tell me if you have any particular feelings for the French language that influenced your decision in this regard? KN: You’re French, are you? gJ: I have both American and French nationalities, so I am (lol). KN: Well, I haven’t studied French but since the sound of the French language is beautiful, French words often come up as candidates when we’re trying to think of character names like "Cure something." And when we were narrowing down our selection, we ended up deciding it would be best to align everything by making them all French. That’s how it happened. gJ: Next, I’d like to talk about Ruru. I apologize if I’m wrong, but I imagined Ruru’s name came from Karel Čapek’s famous play R.U.R. Is that correct? KN: There is no specific reference. I think it was the sound that we liked. When we decide on character names, just like it is with our storylines, we go over many candidates. The producer, scenario writer, the director and I, we came up with all sorts of names, and Ruru was among them, that’s all. I can’t say we had a specific reference we were fond which influenced our decision. gJ: What a coincidence. And then, 9500, her name is RUR-9500, correct? KN: Yes, it’s her part number. gJ: I see. Does that number 9500 have any meaning? KN: No, none whatsoever. I think it was just an impressive sounding number, and something the scenario writer for that episode came up with. We had no problem with it, so it stayed. KN: As far as Ruru is concerned, her name is Ruru Amour, and it’s the “amour” part, which is love… Well, this is connected to what will happen later in the story, but it’s really that part of her name which we wanted to be meaningful. gJ: I see. I’d like to ask you about Episode 17. [In a flashback scene,] Ruru says: “This is the world in the future. I am an android built to manage humans who have been robbed of their future. These humans have forgotten about time, quietly living out their lives without desiring a thing. Here, there is neither pain nor suffering. This is the new world.” Then, the scene shifts to the present. During her battle, Ruru suddenly feels a pain in her chest. The synopsis of the episode on the official home page says that Ruru grows a heart and becomes the Precure of love, Cure Amour. So then, was it your intention to frame this scene and the pain she feels as a rejection of the “new world” where people have been robbed of their future? KN: Right. Originally, Ruru was employed part-time at Criasu Corporation where she was part of the rank and file, working in service of the company’s objectives. The enemy’s objectives… are still coming into focus at this point in the story but, in a nutshell, the enemy boss’ thinking is that humans have emotions and things like that which give rise to suffering and mental anguish, so if you could have a world where people are stopped in their tracks and kept in their current state without knowing a future, everyone would be happy. In Episode 13, when Ruru goes undercover at Hana’s place, she recognizes a presence in her which is completely at odds with that thinking. Hana is very expressive, and although she had some difficulties in her past, she’s the kind of girl who always moves forward into the future with a positive outlook. So, the scene [you described] is the direct result of Ruru, thanks to her interaction with Hana, gaining a sensibility that defies her android logic, an understanding of just how noble and precious it is to move forward into the future, even though we may face hardships along the way. gJ: I see. On the one hand, there’s Ruru, even though she’s an android, the emotion of love blooming within her, and on the other, the future she came from with no pain or suffering and everyone in a death-like state. For the viewer, these two sets of circumstances seem strongly opposed to each other. Is that understanding correct? gJ: In addition, did you also intend to convey the message that androids are capable of growing a heart? KN: Well, it’s not as far-reaching as that… What I mean is, we weren’t trying to push the envelope as far as conveying a message about robotics… about robot ethics. It just so happens that one member making up the team in Hugtto! Precure is an android, and we weren’t trying to open up the discussion to philosophical considerations of robots or anything like that. 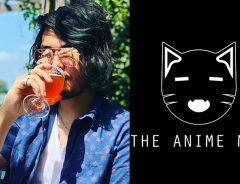 Continues in Part 2, when we ask Keisuke Naito about the highly acclaimed Episode 19. 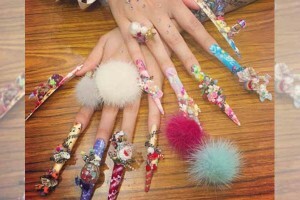 Behold The Extravagant Nail Art Designs From Tokyo Nail Expo 2015!